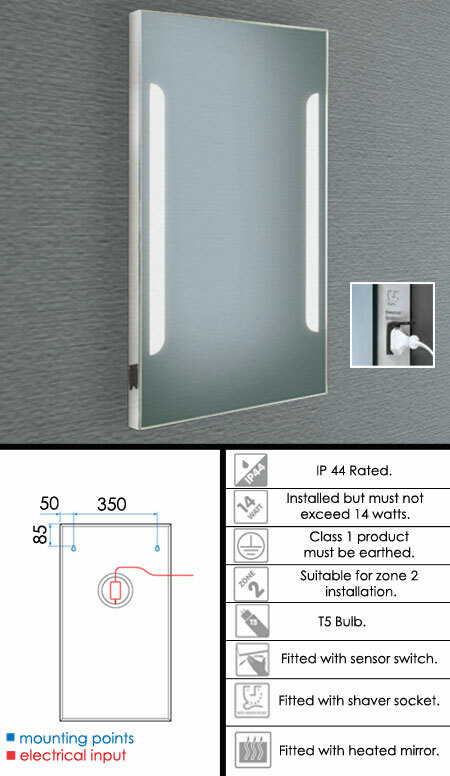 The Uber low energy bathroom mirror with lights and a heated mirror de-mister pad, allowing for condensation steam free viewing. * Glowing low energy mirror lights. * Heated mirror demister pad. * Hand wave light sensor switch.